It's no secret that we love a good collaboration here at Who What Wear, so naturally our ears perked up when we heard that Madewell just announced a new one. But our excitement was taken to a whole new level when we found out that the brand isn't just launching just one collaboration—but actually 24 different ones. Yes, you read that correctly! Yesterday, Madewell kicked off its "Denim Every Day" program, which features a different indigo item every day for 24 days. "The items are so special—limited edition collaborations, one-of-a-kind pieces, and unique exclusives—they deserve a day dedicated just to them," Madewell explains in a press release. 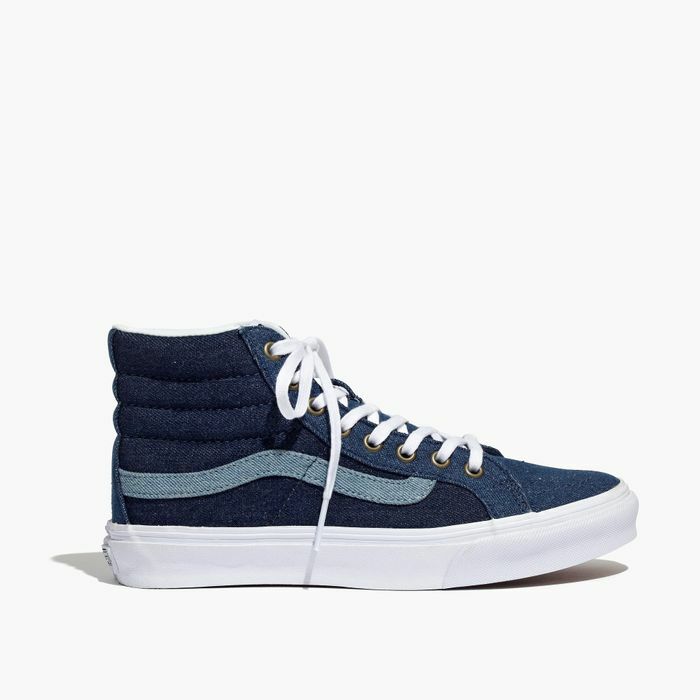 First up yesterday was a collaboration with California cool brand Vans, which resulted in a cool twist on high-top sneakers. Also on the agenda for the rest of the series is a Goop collab, consisting of a piece handpicked by Gwyneth Paltrow herself. Can't wait! Scroll down to shop the first two offerings from Madewell's Denim Every Day program, and keep checking the brand's site for more! What would be your dream Madewell denim collaboration? Tell us in the comments below, and then shop more Madewell online!